Town Cats primary goal is to spay/neuter/vaccinate the feral cats we work with. In this way we humanely prevent litters of feral kittens who grow up to endlessly repeat the reproductive cycle. We work closely with clinics and veterinarians who accept our cats for spay/neuter as soon as they are trapped. Town Cats will also provide spay/neuter services for free roaming or pet cats at low cost. To take advantage of this service please contact us! All cats should be spayed/neutered, even if you think they’ll never be around other cats. Even if you think that your cat will never be around other cats, it is important that she is sterilized to improve her health and prevent mating behaviors. For example, intact male cats tend to roam, fight, and yowl, but a powerful benefit of neutering is that it ends these behaviors.5 Neutered males are much less likely to run away in search of a mate. If your intact male escapes, he can easily impregnate multiple female cats before you’re able to find him. 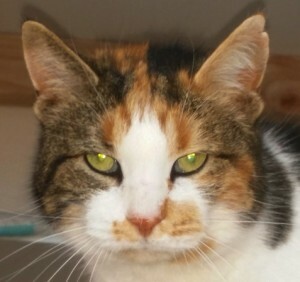 Females who are not spayed go into heat, which can be very uncomfortable and anxiety-causing for both the cats themselves and for the people who care for them. Females in heat may spray, become agitated and restless, and meow loudly and incessantly. Spaying/neutering also has important health benefits. For example, intact cats have seven times the risk of developing breast cancer when they get older, compared with the risk for spayed cats.6 Spaying/neutering also prevents testicular tumors and uterine cancer and uterine infections. It’s critical to spay/neuter every cat in your care, whether they are male or female, indoor or outdoor. Female cats should be spayed before their first heat. Female cats are actually much healthier if they are spayed prior to their first heat cycle. The Association of Shelter Veterinarians’ guidelines recommend neutering before cats reach sexual maturity.7 Even young cats who have been in heat only once have a significantly higher risk of developing mammary cancer than do cats who are spayed before going into heat. And spaying females before their first heat completely prevents uterine infections and uterine cancer. Cats do not need to experience motherhood. Animals do not reproduce because they want to—they get pregnant because their hormones tell them to. Once they are spayed, they no longer go into heat and no longer have the urge to mate. In addition, spaying female cats before their first heat has significant health benefits. Cats’ behavior is changed for the better when they are spayed/neutered. Spaying/neutering only reduces or ends the behaviors that you don’t want. Neutered males are much less likely to fight, roam, yowl, or spray urine to mark their territory. Spaying females stops them from going into heat and can make them less anxious. For community cats, neutered males continue to hold their territory and can still spray urine to mark their territory if they feel it is being threatened. Spaying/neutering does not change an animal’s basic personality, and cats do not have any sort of identity crisis over being sterilized. Spaying/neutering does not cause cats to gain weight—excessive food and lack of exercise cause animals to gain weight. After being sterilized, cats may require fewer calories to maintain a healthy weight. This can actually be beneficial for community cats. If you notice that your pet cat is becoming overweight, whether they are sterilized or not, it is important that you make appropriate changes to their diet, and consult with your veterinarian as needed. It’s important to spay/neuter cats even if you think you could find good homes for any kittens they would have if they were not sterilized. Even if you can find a good, loving home for every kitten, it still means that there will be fewer homes for the animals in shelters and rescue organizations. If each of the people ready to give a home to one of your pet’s offspring would instead adopt from a shelter or rescue group, many lives could be saved. 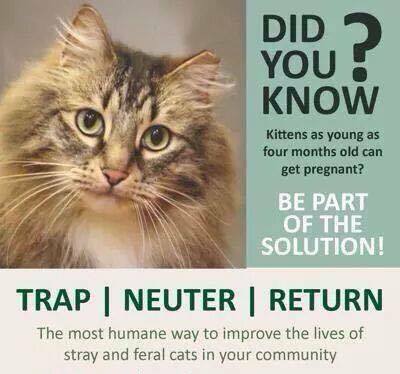 Wanting more cats just like yours is not a reason not to spay/neuter your pet. It’s very unlikely that your pet’s kittens will be just like your pet. In fact, the kittens may receive your pet’s worst traits instead of her best traits. Plus, if you are looking to add a new pet to your family, there are many animals in shelters and rescues waiting for lifelong homes.